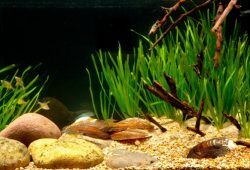 Home » Aquarium Plants » Are you a plant killer? 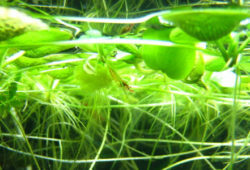 The article concerns the following question – Are you a plant killer? Why are we talking about killing plants in a column that is dedicated to pets? Well water gardening is growing in popularity throughout the country and since water gardening involves plants, water and fish, I thought that I might as well cover it in this week’s column. Everyone would love to have a beautiful garden, with green plants that are bursting with vibrant flowers. However, that takes time and effort, there are weeds to pull out, soil to dig and fertilize, plants to prune and you have to remember to water the plants. Water plants by contrast are very hardy, require no digging, fertilizing is a as simple as placing a tablet in their pot once a month and as long as you keep them topped up with water they are all but impossible to kill. 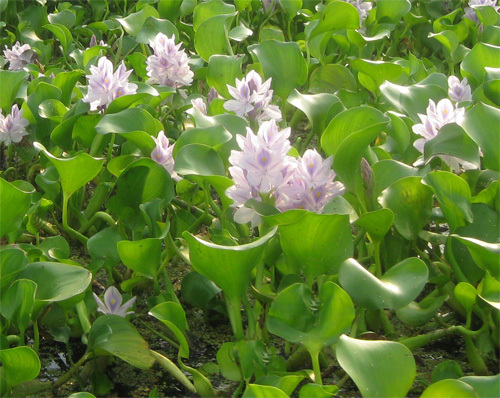 When we think of water gardens, often images of expansive bodies of water come to mind with large water lilies spread out over the water and tall irises growing around the waters edge. Aside from lilies and irises there are many other smaller beautiful plants and some can be grown in as little as 10 litres of water. A container such as an old wine barrel is perfect to start off a simple water garden so too are glazed pots with the hole sealed up of course. If your are planning on using a wine barrel, consider using a plastic liner as these prevent the wine leaching into the water which is dangerous to fish and looks terrible. Position your container so it gets morning sun but is partially shaded from the strong afternoon sun as this can promote heavy algae growth. Fill your container with water, and position your plants, it’s that simple. Usually the best effect is achieved by choosing two types of plants for the container. One tall such as Papyrus, or Variegated Rush and then some smaller plants for the front such as Bacopa, which develops a lovely blue flower or Water Clover. Check the maximum depth for each plant (this is usually written on the tag or we can advise you) and then place them into the container. Always leave your plants in the pot as this prevents them from growing out of control. After a year, most water plants become pot bound and require repotting, always ensure you use an aquatic plant potting mix as other soils can easily cloud the water and do not contain the correct balance of nutrient that is required by aquatic plants. Fertilize them once a month till March with an aquatic plant fertilizer tablet and then allow them to remain dormant over winter. 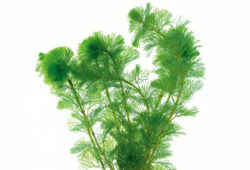 Any body can grow beautiful water plants and we have a great range of plants, both marginal and floating that are suitable for any sized water garden.